Husqvarna specializes in developing innovative rescue products trusted by first responders and rescue teams all over the world. The company is known for creating products of the highest quality, preparing these professionals with the tools needed for a reliable, quick start to any rescue situation where quick clearing is the concern. With more than 300 years of experience developing innovative new items, Husqvarna is the global leader for creating durable products made to last. Federal Resources carries Husqvarna equipment to ensure quality, safety, and excellent performance on every mission. 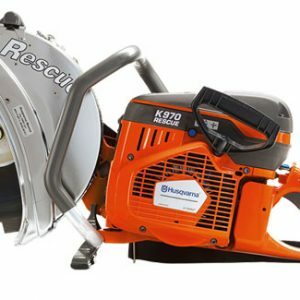 While Husqvarna products are useful in a wide variety of industries, many of the company’s products are beneficial to first responders in the following sectors. Protect yourself from head to toe with Husqvarna protective clothing such as boots and helmets. Being made from durable materials, they are designed to withstand harsh elements and emergency situations. Military gear such as snow blowers and chainsaws aid in responding to natural disasters. Brush cutters and lawn mowers are also useful in cleaning up after disasters such as floods, hurricanes, and tornadoes.